Joey Chamness has grown up from being St. Baldrick’s very first Ambassador to become a longtime shavee and the VEO of his college event — helping fundraise for childhood cancer research to the tune of thousands of dollars. Why does he do it? Because this survivor knows firsthand how important it is to find better, safer treatments and cures for kids with cancer. (Left) Joey rests and watches movies during his treatment for osteosarcoma. 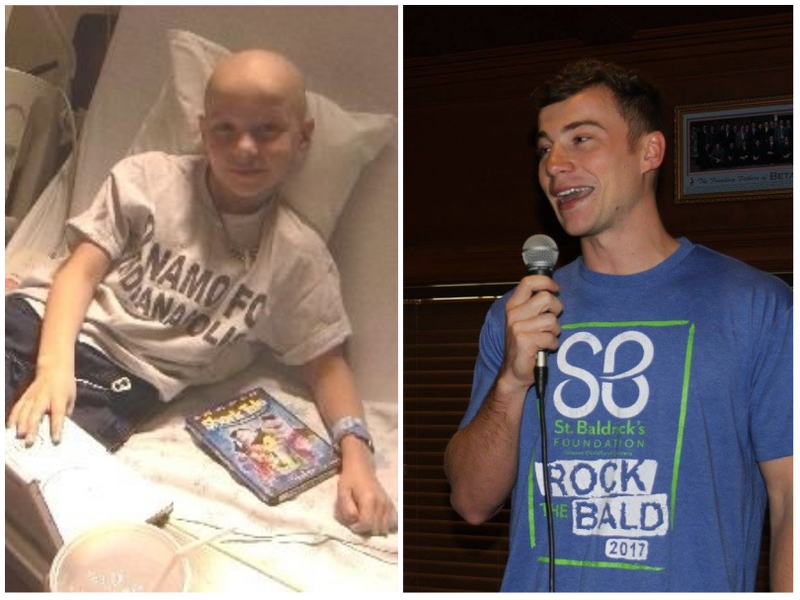 (Right) Now a survivor, Joey speaks during a St. Baldrick’s head-shaving event. 21-year-old Joey Chamness considers himself lucky. In April of 2013, our family joined the club that no one wants to be in – the childhood cancer club. We were told that our 2-year-old daughter, Hazel, had Stage 3, high-risk neuroblastoma, which came with the added baggage of only about a 50% survival rate. To say we were utterly terrified and shell-shocked would be an understatement. Honored Kid Hazel and her mom, Lauren, smile together during a day at the park. But our daughter adapted to her new normal with ease and bravery. She guided us in our fight and inspired us in our determination to get through this arduous journey and give her the best chance, not only at survival, but at living a full life. 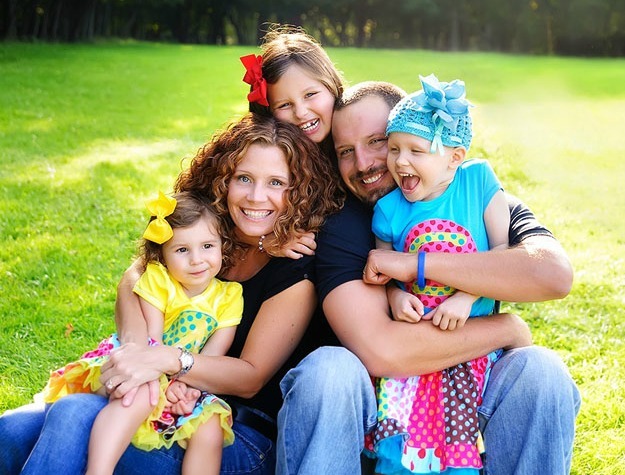 Ever since Joe and Erin Martorano’s daughter Sara was diagnosed with childhood cancer, St. Baldrick’s has been part of the family. 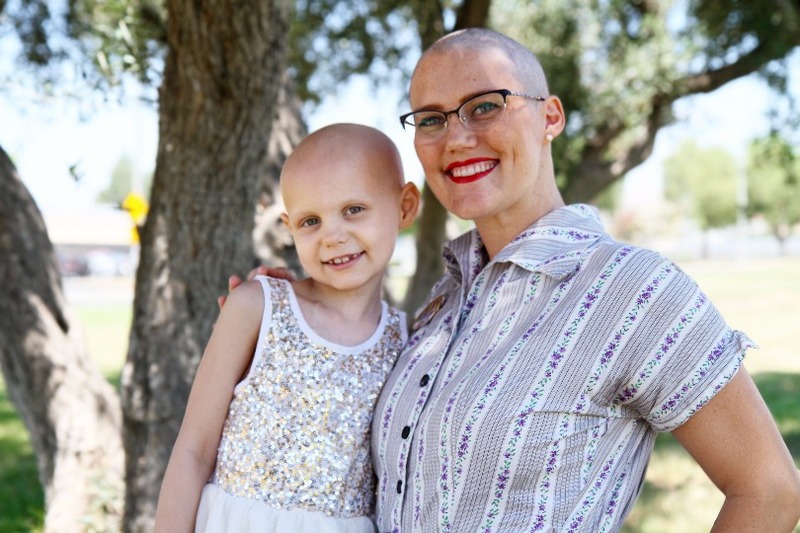 From shaving to organizing events and starting a St. Baldrick’s Hero Fund, they’ve done it all. Read on to find out why. The Martorano family smiles together during Sara’s treatment for cancer. From left to right: Anna, Erin, Mary, Joe and Sara. Joe Martorano first shaved his head with St. Baldrick’s in 2008, alongside his colleagues at the Chicago Police Department. He didn’t have a direct connection to childhood cancer at the time. 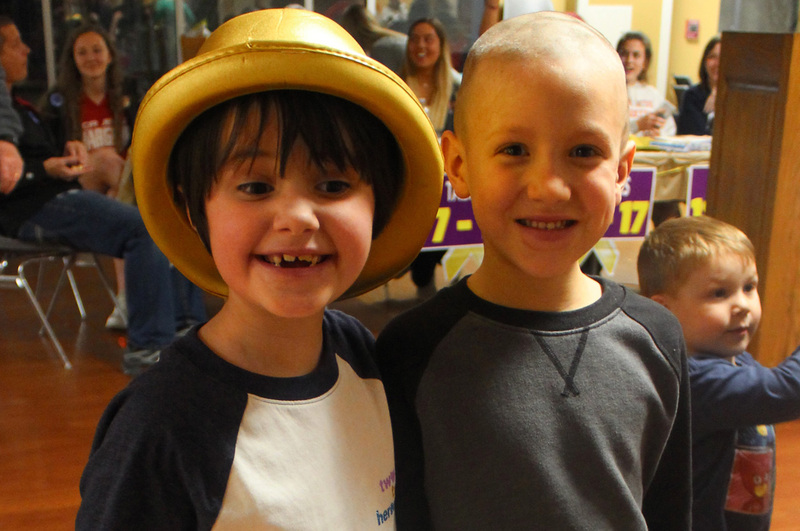 Fundraising for kids’ cancer research just seemed like the right thing to do. Later that year, that would all change.